WEBINAR SNAPSHOT: Use this on-demand webinar to learn how to handle insurance issues that come into play when handling automobile accident cases in Alabama. Automobile accidents can result in huge damages – permanent injuries, major medical costs, loss of earnings, and more. From a realistic standpoint, in most serious injury cases, a full recovery requires tapping into more than just the responsible party’s personal automobile insurance policy. So if your client has been involved in an accident, it’s often necessary to find creative solutions to uncover more insurance coverage. Learn more with this quick yet valuable overview of the different types of automobile insurance in Alabama and where attorneys need to go to satisfy damage claims. Your presenter, an experienced Alabama attorney, will look at the types of automobile insurance that may be available and how the courts interpret automobile insurance policies. She will also review the basics of uninsured motorist and how subrogation figures into the equation. Learn how to handle insurance issues that come into play when handling automobile accident cases in Alabama. Order now. Alabama Auto Insurance Review: What to Do When Damages Appear to Exceed Coverage — is just $99. 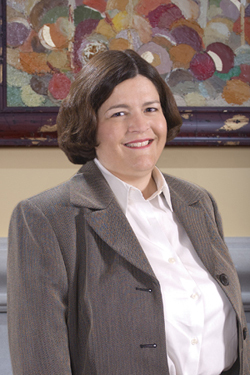 Nancy L. Eady is a partner at Morris, Haynes, Wheeles, Knowles & Nelson. She has been with the firm since 1991 and practices out of the Alexander City office. Ms. Eady heads the legal research department of the firm, and has successfully defended many of the verdicts and rulings obtained by the firm’s trial attorneys. Ms. Eady is an active member of the American Bar Association and the Alabama State Bar. She serves on the Executive Committee of the Alabama Association for Justice. She was selected by B-Metro as a top attorney in Birmingham in 2016 and as a top woman attorney in Birmingham in both 2015 and 2016. She earned her B.S.Ed. degree, highest honors, from Auburn University and her J.D. degree from Jones School of Law.